“This record is a version of what a van ride with us would be like,” says The Pietasters’ bassist and songwriter Jorge Pezzimenti of their soul roots, rock and reggae-inspired new album, All Day. All Day, The Pietasters’ first album of new tracks in five years, captures the high energy, brotherly camaraderie and attention to detail on which they’ve built their rock-steady name as an explosive live attraction. Traveling the miles along a star-kissed path, the first break came early for D.C.’s ska darlings, when they landed a 1992 tour opening for ska originals, Bad Manners. In 1997, Rancid’s Tim Armstrong signed them to Hellcat/Epitaph where they recorded two albums with producer Brett Gurewitz (Bad Religion): the genre-defining Willis (SPIN Magazine called it “An equal opportunity dancehall crasher — part ‘60s keg rock, part 2Tone and part Motown”) and Awesome Mix Tape #6 (CMJ noted it for “lacing a Stax shout-out feel with Caribbean rhythms”). The soul-charged Turbo was released in 2002 by Fueled by Ramen. 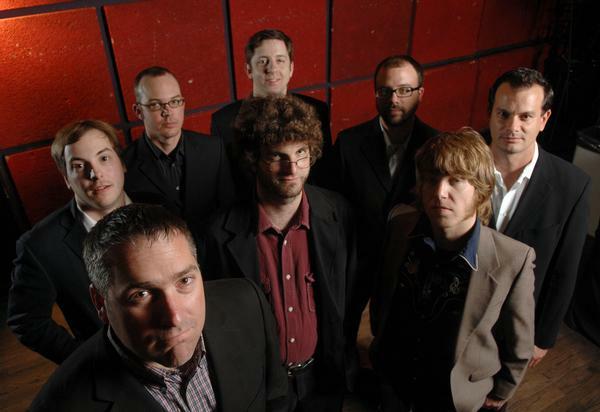 The Pietasters shared bills with NOFX and Less Than Jake on the epic ’98 and ’99 Warped Tours, and followed with a stateside run with punk legend Joe Strummer Three years later, they worked as James Brown’s back-up band for one surreal evening (All Day was produced by James Brown’s engineer, Todd Harris). Not bad for a bunch of guys who started out as a teenaged underground band from D.C.
“We may not be rich but we can claim some amazing experiences,” says Jackson. It’s that experience, combined with a commitment to expand beyond their humble beginnings as a ska band, which are at the foundation of All Day, a journey through the swingin’ ‘60s and the soulful ‘70s that sounds right on time. While The ‘tasters have always favored a little bit o’soul, they have not left their signature skank or die style behind for All Day. While the song “Change My Ways” may ring with notes of Northern Soul, “Don’t Wanna Know” riffs on the high-stepping style of an earlier era. Meanwhile, the very specific blueprint for sound left by the esteemed Jamaican label, Trojan Records, is what fuels songs like “Late Night Call,” “Dream of You” and “G to F.” “We’re very influenced by that rocksteady and early reggae sound that in turn was playing off of the soul music coming from America,” explains Pezzimenti. Backing Jackson on vocals and Pezzimenti on bass and vocals are Toby Hansen/guitar and vocals, Jon Darby/keyboards and Rob Steward/drums. And what would a soulful band be without its singing horn section? They are: Alan Makranczy/sax, Jeremy Roberts/trombone and Carlos Linares/trumpet. The Pietasters’ debut album of traditional 2Tone-inspired songs arrived in 1993, and the more polished Oolooloo followed. Later that decade, the band’s influences opened to such Jamaican institutions as Trojan and Lee “Skratch” Perry, which broadened to soul and its subgenres. “All along we had friends who were DJs sending us rare soul mixes,” Jackson says. Their deep musical education served the band well when it came time to tour with Strummer: as one member circulated out, Pezzimenti jumped in at a moment’s notice. “It was daunting at first,” he says of his time as the new kid. But his entry marked the next phase for the already legendary band. Next on the list of epic adventures: a shot with James Brown. One of Jackson and Pezzimenti’s favorite tracks on the new album is their Rasta-fied version of the‘70s radio hit, “Listen to Her Heart,” by Tom Petty and the Heartbreakers. “We had all kinds of debate about whether or not to do the song and then we went to see Tom Petty and it was the first song he played. We decided it was a sign,” says Jackson. The Pietasters have been served well by the signs they’ve encountered along the road during their 17 years as a band. As the sun comes up on All Day, the experience and commitment that defines The Pietasters as an entity should find friends among the faithful as well as to first-timers to the ska-soul sound.